I'll be back again and again and again and again and again and again and again and again and again is what Arnold Schwarzenegger should have really said all those years ago, way back in the now 30 year old original Terminator film. Will Terminator Genisys be a return to form for the franchise that has sadly fallen deeper and deeper into crapness since James Cameron left the helm? I'm desperately hoping that it will be, but I, along with many others, am not convinced by much that I have seen from the marketing department. 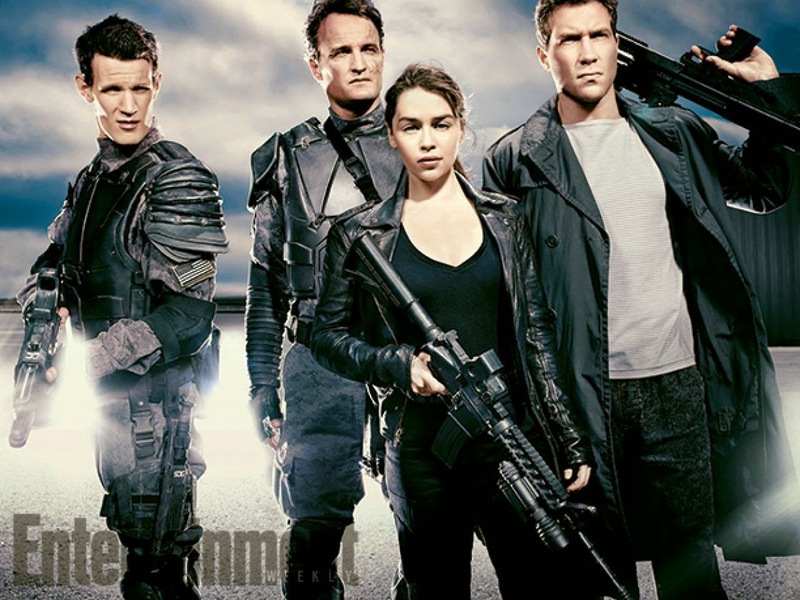 It all started off so well with the casting of Emilia Clarke as a young Sarah Connor, Arnie returning and Alan Taylor from Game of Thrones directing. The story details sound like a potentially very interesting new take and Jason Clarke sounds like a decent John Connor, even if he'll never be as cool as Edward Furlong. However, Jai Courtney better do something better for this franchise than he did for Die Hard. The obligatory trailer tease popped up yesterday, promising the return of a T-1000-alike liquid metal Terminator into the mix. Could this be Matt Smith's role in the movie? Probably not judging by the above photo but it's a shame as I could really see him doing a tidy Robert Patrick impersonation. Might I say that apart from a couple of dodgy effects, I am loving the look the look of this. I love the direction they have taken the storyline!